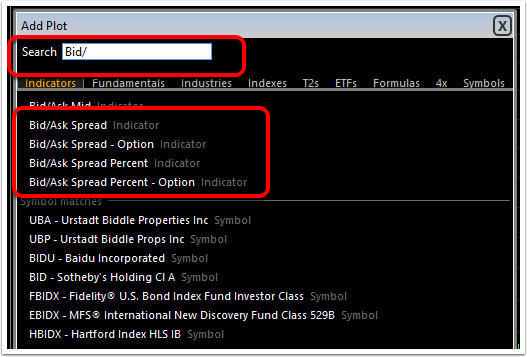 You can now add the Bid/Ask spread as an indicator to see the history of the bid/ask movement in any time frame. 1. 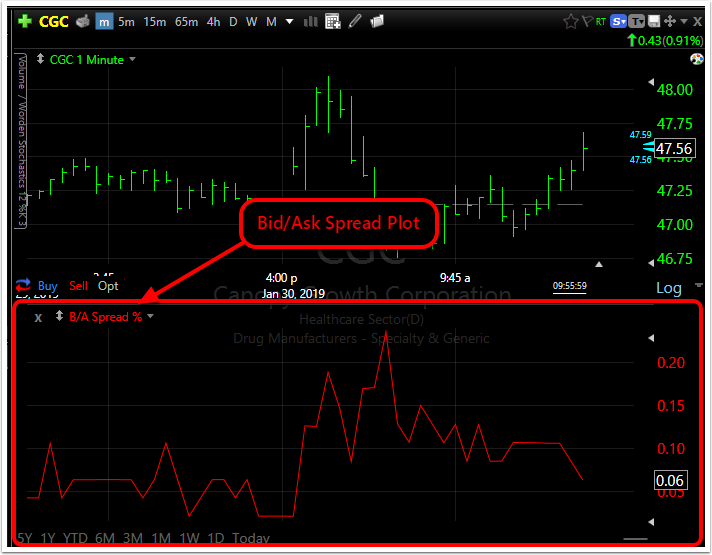 Click the Add Plot to Chart button. There are two other ways to open the Add Plot menu. 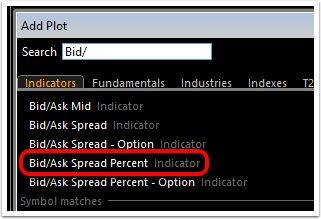 1) Use the forward slash "/" hot key to add indicators; 2) Right-click anywhere on the chart and choose Add Plot from the drop down menu. Use the search field to quickly look up items to plot. Click here for more about moving/arranging plots on your chart.